Sometimes the simplest of lessons have the greatest impact. Character education is one of those lessons. 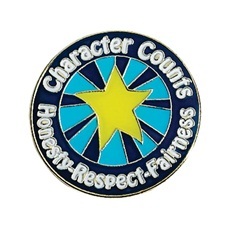 Whether you realize it or not, you teach character education on a daily basis simply by modeling good character. But additional lessons are a good reinforcement. Repeated messages make an impression. Studies have shown that the best way to teach these virtues to children is to weave the lessons into your daily curriculum. Some teachers choose to do a whole unit dedicated to character building. However you choose to incorporate character lessons into your teaching plan, try some of these helpful tools we found to make the journey even easier and more rewarding. The following links are great resources for lesson plans and ideas to incorporate character lessons into your daily teachings. These products will help reinforce your messages. Which character traits/lessons do you find most crucial to reinforce at the age level you teach?